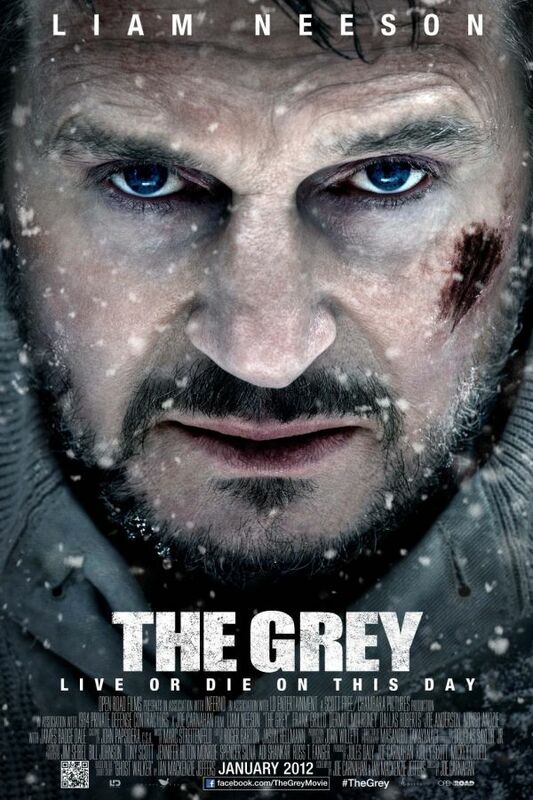 The Grey font here refers to the font used in the poster of The Grey, which is a 2011 American adventure movie that follows a group of oil workers stranded in Alaska after a plane crash, who are forced to survive as wolves stalk them. The font used for the movie title in the poster is probably Impact, modified with a distressed feel. More details about Impact typeface can be found here. In addition to The Grey, Impact typeface is also used in the following logos, movie posters or album covers etc., including: Soul Eater, Dawn of the Dead, Advanced Warfare, Parental Advisory Label, High Tension, Stepping Into the Fire, The Aggression Scale, Yellow, One Direction: This Is Us, Cash Money Records, Preacher (TV Show), GameStop Logo, Five Finger Death Punch, Marvel: Ultimate Alliance, Generation Iron.